Jimmie Lee Sudduth lived all of his life in and around Fayette, Alabama, which is at the foot of the Appalachian mountain range. Most of his life he worked on farms and in town as a handyman and gardener. Sudduth had an interest in the architecture and landscapes around him, which became a frequent subject in his paintings, as with "Log Cabin." 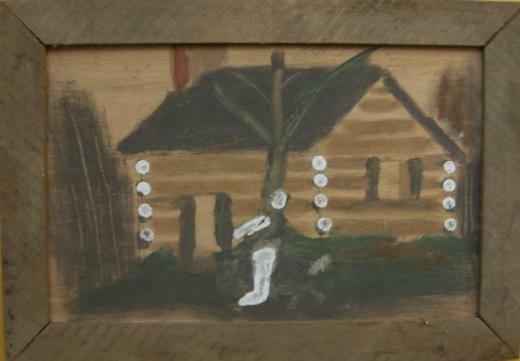 This painting depicts a single pen log cabin with corner-notched round logs. Come and view this and other paintings on exhibit in Cannon Hall at the Arts Center of Cannon County. Cannon Hall is open 10 a.m.-4:00 p.m. Tuesday through Saturday.